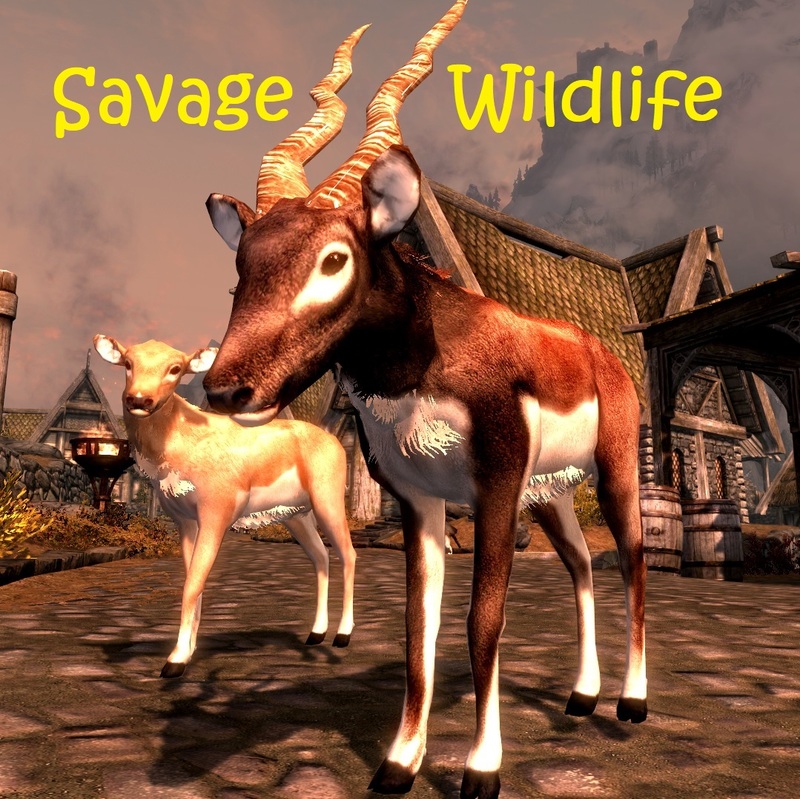 Adds Savage Animals in Skyrim: Summonable Mounts/Followers (Books/Spells with Farengar) + Scrolls for repopulate Skyrim (Merchant : Elrindir) + 2 Companions in The Drunken Huntsman (Whiterun). No DLC needed. To have the SUMMONABLE MOUNTS or FOLLOWERS, you must buy the (23) “Spell tome: XXXX”, at Farengar Secret-Fire in Dragonsreach/Fort Dragon (Whiterun) or with an other “Spell Vendor” (ex: Sybille Stentor in the Blue Palace/Palais bleu in Solitude). SCROLLS REPOPULATE SKYRIM WITH WILD ANIMALS ! To obtain these Animals, simply buy scrolls found with Elrindir in Whiterun (in The Drunken Huntsman). Now open up your inventory, navigate to “Scrolls” and there they are. You throw them and when they hit the ground they hatch into Animals.